"Anyone who goes to a psychiatrist oughta have their head examined." This classic joke underscores the unfortunate, still-alive social stigma that people who seek mental help must either be inept, inherently mentally weak or just plain crazy. Athletes who see sports psychologists are sometimes ridiculed and are thought to lack the proper innate mental capabilities -- the "right stuff". In some sports, athletes who use sports psychologists are actually ostracized. This negative, critical approach is incredibly sad. It's also incorrect and ignorant. It shows an amazing lack of knowledge about the wide-ranging extent sports psychologists are embraced by many, many athletes -- from beginners to champions -- in almost every sport in the world. It also maintains age-old destructive myths and misunderstandings about the value and workings of the sports psychology field. This article's purpose is to help athletes, parents and coaches understand and come to terms with their reluctance to utilize the services of sports psychologists. It dispels many of the myths that surround what happens in a sports psychology coaching session and explains the benefits of working with a sports psychologist. Let's first look at the wide array of sports that use sports psychologists as trusted and valued members of their coaching staffs. Major league professional sports teams. Minor league professional sports teams. Individual professional athletes in every sport. Olympic teams in every sport. National teams in every sport. University and college athletic departments. University and college athletic teams. Individual college athletes in every sport. Individual recreational athletes in every sport. Baseball College World Series Champions Stanford University . There is one man who is probably the biggest devotee of mind training in all of sports. Superstar pro basketball coach Phil Jackson is a Zen master extraordinaire. During his tenure as head Coach for both the Chicago Bulls and Los Angeles Lakers he brought home the goods -- two NBA world championship trophies. Jackson is a firm believer of sports psychology, with a Zen twist. He meditates regularly and tells his players, "players can be stars, but only teams win". Jackson is considered one of the smartest coaches in basketball history and he uses sports psychology to get the winning edge. Do these 65 golf pros convince you that sports psychology is a must to get the mental edge? They play golf for a living and want every edge possible. They are already strong mentally, but want to continue to improve and so seek the services of a sports psychologist. Why not you? Are There Any Sports That Don't Use Sports Psychologists? It's difficult to think of a sport that does not use sports psychologists. These are just a few that use mental training as part of their regular practice regimens: National and international teams in rugby, soccer/football, yachting, Formula One racing, martial arts, hockey, gymnastics, cheerleading, rowing, swimming and diving, track and field, distance running, triathlon, weight and power lifting, badminton, racquetball, ice skating, dance, lacrosse and field hockey. 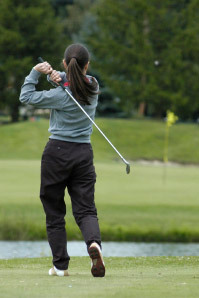 Even the so-called "minor sports" such as darts, bowling, rifle and handgun shooting, archery and billiards have an extensive sports psychology literature. We at mentalgamecoach.com can help athletes, parents and coaches in any sport maximize their performances with our extensive collection of articles on peak performance. Why Do Some Athletes Resist Seeing A Sports Psychologist? Even knowing about the huge number of top college teams, pro teams, Olympic teams and individuals that utilize sports psychology services, how is it that some athletes, coaches and parents are still quite reluctant to hire a sports psychologist? First, many people are very hesitant to see a counselor, psychologist, psychiatrist and psychotherapist for non-sport issues, so it should be no surprise that they are also leery of seeking the services of a sports psychologist. Their concerns and fears are so strong, that many people who would definitely benefit from these psychological services never receive them. We each know people who should go to their family physicians, but who avoid medical care due to a fear of hearing bad news, being asked to make lifestyle changes, fear of being asked to undergo surgery, the inconvenience or dislike of having to take medication, and a number of other factors. The lifelong smoker who fears hearing the inevitable when the cough won't leave them and the over-eater who does not want to be told they must cut back come to mind. They both know what they will hear, and at the same time, they fear it. People typically do not go to a physician unless it is their annual checkup or they have a medical problem. In contrast, people do not go to a clinical psychologist for an annual checkup, but only when they have a problem. This accounts, in large part, for the negative public image of sports psychologists. The public views athletes who go to sports psychologists as "having mental problems", rather than wanting educational assistance with their mental game. The public would be well advised to consult their physicians, clinical psychologists and other professionals on an annual or semi-annual basis, or more frequently, for routine maintenance checkups. Athletes are equally advised to have regular tune-ups for their mental game. It's unfortunate that people do not avail themselves of health, medical and other services that can greatly benefit them, but that's human nature. Athletes are human too, and they naturally become afraid when confronted with their own frailties and shortcomings, even though these may not be life-threatening. This reluctance to seek help is termed resistance in the professional literature. Resistance is a long studied clinical phenomenon in the counseling and psychotherapy fields. It address why clients are reluctant to come to therapy in the first place, why they miss appointments, why they tend to want to cut therapy short, why they are not compliant with therapist-indicated modalities, and why they tend to be obstructionist with regard to discussing difficult psychological material in sessions. Fear is the operable word here. The phenomenon of clinical resistance has been written about using a variety of terms. It has been referred to as "precontemplation" (Prochaska, Di Clemente and Norcross, 1992), "amenability" (Palmer, 1994), "resistance" (Rothschild, 1995), "denial" (Rothschild, 1995), "reluctance" (Cullari, 1996) and "responsibility" (Serin and Kennedy, 1997). Resistance exists in all helping professions. Sports is no different. Ask any group of athletes and coaches this question. "Who here would say that the mental game is very important?" Probably most all hands would go up. Ask them, "At the higher levels of sports, is it fair to say that the mental game makes the difference in playing well and in winning?" ALL hands would go up. Then ask them, "How many of you here practice the mental game on a regular basis?" Very few hands will rise. Why this paradoxical discrepancy? Here is at least one answer. "The question that emerges from this is as follows. If so many athletes need psychological support and are aware that they have this need why don't they seek treatment more often? Further if they do come to our office, why do more than 50% drop out within four sessions, well before they are ready?" Indeed, Ferraro and Rush point out that many athletes suffer from drug and alcohol addiction, eating disorders and other psychological maladies, including some even more serious disorders. Clearly, many athletes suffer in silence, not knowing that help is only a phone call away. They relate that it has been postulated that narcissism is prevalent in sports, and athletes who have this affliction are particularly reluctant to work with a sports psychologist because of their fear of becoming dependent on others. In a 2003 study published in the Journal of Counseling Psychology (Vol. 50, No. 3) by Iowa State University assistant psychology professor David Vogel, PhD, and University of Wisconsin-Milwaukee assistant educational psychology professor Stephen Wester, PhD, it was suggested that mental health professionals need to better anticipate the reluctance potential patients have about the counseling process. They stated that "only one-third of people who could likely benefit from psychological treatment seek help." The authors suggest that engaging in therapy is a risky endeavor for most people, and that mental health professionals should help people manage this risk. For a deeper understanding of the mental training process and the various types of practitioners who offer these services, please see our article, What's a Mental Game Coach? We now shall consider the very real concept of resistance that exists in sports psychology, and for simplicity, consistency and clarity, for the rest of this article, will frame this concept using the terms "sports psychology", "sports psychologists" and "sports psychology coaching". A fear that they will be asked to change, or be made to change. Change itself can be intimidating. A fear that talking about their mental processes will cause them to lose their natural mind-body powers and automaticity. Many don't want to tempt fate. As the legendary tennis coach Vic Braden says, "Pros don't do as they say, or say as they do." They often don't know why or how they do what they do. They simply want to be able to continue doing it. They fear that sports psychology coaching may tamper with this innate gift. A fear of being asked potentially embarrassing, personal or "nosy" questions. This can be off-putting to anyone. Personal disclosure, especially about so-called "mental weaknesses" is not something that is highly valued in the sport world. A fear of being called "mental" or a basket case. Athletes are looked down upon if they regularly publicly complain about or obsess about the details of their mental game. Players who do this are labeled fuss-budgets, whiny or sadly, "psychos". A fear of becoming dependent on the sports psychologist. A fear of loss of confidentiality. A fear that what they say will leak out to their team, parents, coaching staff or others. In any type of counseling and consulting, this is a major concern. A lack of comfort with talking about feelings and psychological issues. Athletes are creatures of comfort. Their comfort zone is action, physicality and results, not talking about feelings, process or results. Let's now examine the many reasons athletes, parents and coaches give for being reluctant to engage the services of a sports psychologist. Each reason is followed by comments that explain why the concern should not be an issue that would prevent an athlete from seeing a sports psychologist. I Don't Have A Psychology Background, So How Can They Help Me? Anyone can benefit from sports psychology training, even with no psychology background. The sports psychologist will guide you step by step, making the concepts easy to understand and implement. I Don't Want To Be Interrogated Or Pumped For Information. You will be respected and made to feel comfortable, and will never have to answer any question you don't want to answer. I Don't Know What To Expect, And That Makes Me Uncomfortable. After reading this article you will have a very good idea what to expect in your session. A sports psychology session should be fun, interesting and educational. If Certain Information About Abuse Is Uncovered, Will The Sports Psychologist "Turn Me In" To The Medical Authorities? Unless the sports psychologist is also a licensed mental health professional or states they are a "mandated reporter" at the outset, this will not happen. Some licensed mental health professionals also provide sports psychology services, but do not disclose that they are mandated reporters. This is a tricky ethical area, one that you should be absolutely clear about before you begin sessions. If I Have Some Legal Difficulties, Will The Sports Psychologist Turn Me In To The Law? You are correct in knowing that licensed mental health professionals are mandated by law to notify law enforcement and other governmental agencies if they believe you intend to harm yourself or others (including issues about physical abuse or suspicion of sexual abuse to a minor or elder), but sports psychologists are usually not licensed mental health professionals, in most cases, and are not bound by these mandates. You should discuss this with your sports psychologist at the outset of coaching to determine the sports psychologist's licensure status. I Don't Like Being Asked Questions I Don't Know The Answers To. You won't be pressured or intimidated. The session is a collegial exchange of information. I Don't Want To Look Incompetent In The Eyes Of A Total Stranger. The sports psychologist is there to help you. They don't see you as being weak, but as being brave for taking the risk to do the work. If My Coach Learns I Am Seeing A Sports Psychologist, He/She May Be Insulted. Smart coaches know their limits. They also know that two heads are better than one when it comes to coaching. Most coaches are happy to either bring in an expert in the mind game or have you consult one. In an extreme case, your coach does not even need to know what you do away from practice. I Have A Fear Of Becoming Dependent On The Sports Psychologist. While there is a small chance of this happening short-term, the goal is to make you independent and excellent at self-coaching. Long term, this should not happen. I Don't Want To Be Analyzed Or Have My Weaknesses Exposed. While a major benefit of sports psychology work is the assessment and analysis of your mental skills, your confidentiality is guaranteed. Talking About My Mental Issues Will Make Me Too Self-Conscious About Them, And Only Make Them Worse. Initially, this sometimes briefly happens, but quickly, your over-analysis will go away and be replaced by solid, automatic mental systems that will help you perform well under pressure. Is It Possible I May Be Secretly Hypnotized? This will not happen without your knowledge or authorization. Sports Psychology Coaching May Take My Killer Instinct Away. On the contrary, your will to win and your mental toughness will be enhanced. Will I Be Tricked Into Doing Or Saying Something I Don't Want To Say Or Do? There are no tricks, no unethical moves. The sports psychologist is dedicated to your safety, well-being and advancement. Will I Be Asked To Use My Mind In Ways I Can't Succeed? You will be challenged, and amazed at your new mental powers, but you won't be asked to do anything at which you can't succeed. Will I Be Blamed, Shamed And Labeled A Loser Because I Am Admitting Mental Weakness? Sports psychologists don't consider your asking for help a mental weakness. They view it as an intelligent request for help and give you a lot of credit and respect for doing so. There is no blaming, just support and encouragement. Sports Psychology Concepts And Approaches Are Too Complex And Difficult To Understand. Sports psychologists make the content you learn easily digestible, practical and straightforward. Countless athletes of all ages and skills have learned sports psychology concepts and integrated them into their sports performances. Being Mentally Tough And Being A Winner Are Inborn Qualities, So Seeing A Sports Psychologist Simply Won't Make A Difference In These Arenas. Anyone, with the proper desire, can become mentally tough and win more than they ever dreamed possible. I'm Afraid I'll Be Asked To Change My Entire Sports Training Program To Add Endless Hours Of Mental Training And Homework. You may be able to efficiently adjust your current training regimen, or add some time to your schedule, but it will be very manageable. You will see the value of the mental training and will gladly make time for it. My Mental Issues Are Unique, So I Probably Won't Be Helped By A Sports Psychologist. Experienced sports psychologists have helped many athletes with all sorts of issues in many sports. Even though your situation is new to you, they have the experience to help you. Sports Psychology Won't Help An Athlete Of My Skill Level. Any skill level can improve through mental training. Will I Be Asked To Take Any Medications? It would be highly unlikely. Only physicians prescribe and dispense medications. For athletes needing help beyond traditional educational sports psychology training, there are sports psychiatrists, MD's who are licensed to diagnose and dispense medications. The vast majority of sports psychologists do not prescribe or dispense medication. Will My Neuroses Be Discussed? This is a term generally found in psychoanalysis. You can find sports psychologists using this orientation, but typically, most practitioners are cognitive-behaviorally based. Your mental obstacles will be discussed. and a plan will be advanced to handle them. Can't I Just Avoid Talking About Emotions And Mental Stuff And Just Get A Pep Talk? Some sessions may seem like a pep talk, but if that's all you needed, your coach and friends could do that for you. Most sports psychology sessions discuss a combination of easy to use techniques and deeper, more interior-focused interventions looking at your motivations, attitudes and beliefs. I Think I May Be Depressed As Well. Is Sports Psychology A Good Fit For Me? It depends on the extent and type of your depression. That is something that only a licensed mental health professional or medical doctor should diagnose. You may be able to continue sports participation and working with the sports psychologist if your depression is correctly diagnosed and the proper treatment regimen is directed. I've Had Performance Problems A Long, Long Time. Can I Be Helped In A Couple Of Quick Sessions? Typically, long-standing problems take time to resolve. If they are deeper, this requires substantial time. Your sports psychologist should be able to estimate the length of work in the first session. I Don't Like To Spend Much Time Reading And Writing, And I Hear They Make You Do A Lot Of Both Of These In Mental Training. You can customize mental training to your preferences, but to gain maximum benefit, some writing in a journal and some reading is quite helpful. I Hear Sports Psychology Uses Zen And Far Eastern Mystical Voodoo Techniques, And I Don't Want Any Of That. Though many sports psychology approaches and techniques have come out of Eastern philosophies like Zen Buddhism, you do not need to be an adherent of these disciplines or believe in them to use them to full effect. Will I Have To Change My Personality Or Temperament To Do Mental Training? Sports Psychology does not ask you to change how you are as a person, including your personality, temperament and taste for vanilla ice cream. Will I Be Hooked Up To A Biofeedback Machine? Biofeedback is a potent tool in performance enhancement and stress management. This is something you could utilize if you want. It's Easier To Stay Out Of Something Than To Get Out Of Something. I Don't Want To Be Pressured Into Signing Up For A Series Of Sessions That I May Not Want. An ethical sports psychologist should not pressure you to do anything, including signing on for a long contract. Going To A Shrink Shows You Can't Handle Your Own Problems, That You Are Weak. I suppose we could say that about anyone going to any professional or expert for help, but we don't believe that to be true. Clearly, people in the helping professions are there to do just that--help you overcome obstacles you can't yet handle on your own. They want to teach you how to be your own best coach. I Tried Counseling Before And It Didn't Work, So Why Should Sports Psychology Work? Sports psychology is not counseling, although some of the elements are similar. While the thrust of counseling is therapeutic, the purpose of sports psychology is an educational one. Is Sports Psychology Compatible With The Medications I Take? It depends on what you are taking, and, except for extreme medication cases, a sports psychologist should be able to work with your medications and still help you. I Have Some Secrets I Don't Want Anyone To Know About. Is There A Chance The Sports Psychologist Would Try To Get Them Out Of Me? Your secrets can stay with you as long as you like. No one will attempt to make you say anything you don't want to say. I Might Begin Talking About Some Very Emotional Issues, Possibly Lose Emotional Control And Even Begin To Cry, And That Would Be Embarrassing. Sports psychology coaching is a safe place where you can express all sorts of thoughts and feelings, so you shouldn't feel self-conscious about any emotions you display. They May Make Me Take Some Psychological Test. You only take the tests and assessments you want to take. You may find though, that some tests give you a very quick and accurate insight into yourself as a person and a performer. Will They Tape Record The Sessions? I Want Privacy. Sessions are recorded only if you agree to that. Sometimes you may want to be videotaped so you and your sports psychologist can analyze your performance and make recommendations. Who Else Will Be There? Anyone you want can be in your sessions, whether its in person or on the phone. Often people bring in their parents, coaches and team mates to gain additional insight into their performances. Will The Sports Psychologist Contact Anyone Else I Know And Ask Them Questions About Me? Not without your permission. You may consider this though, as an adjunct for the sports psychologist to gain additional helpful perspectives beyond yours. Will The Therapist Try To Drag My Other Family Members Into Sessions? Only the people you approve come into your sessions. Your family in particular know you well and could provide insightful information that could help you improve your situation. My Friend Had A Bad Experience With A Sports Psychologist Once And I Don't Want That To Happen To Me. You have to evaluate every experience from your own perspective, and perhaps you will have more success than your friend did. I Hear That Sports Psychologists Just Give You A Pep Talk And Tell You To Think Positive. Sports psychologists definitely help you think positive and maintain healthy, winning attitudes and beliefs, and they sometimes give you a pep talk, but they go far beyond that to give you assessment, structure, guidance, advice, perspective, confidence and proper mental performance techniques. I Don't Want Anyone Tinkering With My Physical Technique To Improve My Mental Game. For the most part, sports psychologists do not focus on your physical technique or your physical conditioning, but they first seek to rule out that your performance deficits are from non-mental causes. Sports Psychology Sounds Negative Because All You Do Is Talk About Problems. All counseling and therapy systems focus on discovering your problems and concerns and then ameliorating them. Sports psychology also focuses on removing the obstacles that stand in your way of sports success. That's a positive process to get rid of the negativity that holds you back. No One Could Possibly Help Me With The Problems I Have. It may seem like your problems are extreme and insurmountable, but there is hope. Many athletes have come to sports psychologists and have been delighted when they learned that there is help for virtually any kind of sports difficulty. I Heard They Make You Talk About Your Parents, And I Don't Want To Get Into That. It is fairly rare for sports psychologists to get into your parental issues unless there are some deeper obstacles holding you back. You talk only about the things you want to discuss. I Hear Sports Psychologists Make You Talk About Your Childhood, And I Don't Want To Do That. This is not a standard topic you would be asked to discuss unless you have long-standing, deeper issues that are blocking you, and you and the sports psychologist thought that looking at some of your childhood issues were relevant. I Went To A Psychotherapist Once And I Don't Want Any More Therapy. Sports psychologists do not deliver therapeutic services. They do use some of the modalities, approaches and tools of counseling and therapy, but their focus is on performance enhancement, not therapeutic outcomes. I Read A Book On Sports Psychology That Didn't Help Me, So How Can A Sports Psychologist Help Me? Reading psychology books can be helpful for some people, but nothing can take the place of a sports psychologist who will help you with your specific performance issues in a timely, accurate and personalized manner. I'm Afraid The Sports Psychologist Will Ask Me To Make A Commitment To A Series Of Sessions, And I Don't Like Being Sold And Pressured. No one should pressure you to purchase something you don't want, but being asked to make a commitment is quite reasonable, especially if your problems have been long-standing or your goals are high. Going To A Sports Psychologist May Conflict With My Religious Beliefs. The approaches and modalities used by sports psychologists are not connected with any religion, church or belief system. The techniques they use require no religious affiliation or practice to work. Having To Seek Sports Psychology Help Shows My Faith In God Is Weak. Many athletes make religion and their faith in God part of their sports experience, but asking for help from a sports psychologist does not mean you have a lack of faith. My Image Of A Sports Psychologist Is Them Sitting There Stone-Silent, Making You Do All The Talking. This is a popular image taken from countless movies and cartoons of the old-style Freudian therapist sitting silently while the patient free associates from the couch. We don't do that in sports psychology, but we do ask that you talk so we can help you figure out what is happening with you. I Don't Want To Have To Lie Down On A Couch And Be "Psychoanalyzed". You will not be asked to get on a couch. And Freudian psychology is not the favorite approach used by most sports psychologists. I Don't Know Anyone Who Was Helped By Sports Psychology. Please refer to the lists of the thousands of athletes, teams and coaches who have used and who currently use sports psychologists at the national, international and professional levels, posted at the top of this article. How Would I Tell The Sports Psychologist I Want To Stop Sessions Without Making Them Feel Rejected? You can do this at any time, and you don't have to take care of them emotionally or worry about their reaction to this. They understand that sometimes you need a break or a different sports psychologist. I Don't Want To Be Rejected Or Disliked By A Someone I Don't Know. It does seem like a scary proposition, talking about personal matters with someone you don't know all that well, but you have to start somewhere. They won't reject you or dislike you. They want you to succeed. Talking To A Sports Psychologist Is Admitting That Deep Down Inside, You Are A Very Flawed Person. Seeing a sports psychologist is an act of courage that shows you are intelligently seeking assistance in an area in which you are not an expert. If you believe you are flawed, that is an area that will greatly affect your sports performances as well as your life, and is one that you should discuss. What If They Can't Help Me? You have to find the right person who you can really connect with and who can genuinely assist you in your specific situation. Be patient and find the right person who can help. What If They Label Me Mentally Ill? That won't happen. sports psychologists don't use those terms or see people in those ways. They view people as having great potential, and as simply having difficulties in their sports performances. I Don't Want To Be Placed Into A Little Box Where They "Diagnose You" And Name Your "Mental Disorder". Sports psychologists don't do this. Counselors, clinical psychologists and psychiatrists must submit an "official diagnosis" to insurance companies, but we in the sport world assess you without "labeling or diagnosing" you. I Don't Want To Deal With Lots Of Details And Minutiae. Details are what success is all about. They are important details, or the sports psychologist would not bring them up. Just as a physician is precise and specific in laying out a treatment plan for you, the sports psychologist is very careful about helping you create a success plan, that of necessity, has details about nuanced adjustments you will be making in your thinking, emotions and behavior. They May Pressure Me To Make Changes I Don't Want To Make. No one will pressure you to do anything, particularly changes you prefer not to make. You are in the driver's seat every step of the way. I Don't Like Strangers Telling Me What To Do. Your sports psychologist will give you some advice and counsel, but the decisions you make are up to you. My Parents Said Don't Talk To Strangers, And Now They Want Me To Open Up To A Stranger? It does seem odd to be telling personal things to someone you don't yet know very well, but sports psychologists are professionals, trained to make you feel comfortable and able to share important details that they can then use to help you maximize your performance. Will They Make Me Stop My Superstitions Or Habits That Make Me Play Well? Many athletes have superstitions or rituals that make them play better. You can keep these if they help you. I Don't Want Anyone Judging Me. Experienced sports psychologists will never pass judgment on you or blame you. They are there to help you and make you feel comfortable so you can move ahead in your sport performance. I Don't Want Someone I Don't Know Telling Me How To Live My Life. You won't be directed or controlled, and further, you can have a dialogue about how you can improve your sports performances, but you make the final decisions. If I Act Crazy Or I Am Diagnosed A Certain Way, Can They Hospitalize Me Against My Will? No, this will not happen. Sports psychologists don't do those things. They don't call anyone crazy and they don't diagnose, using the medical taxonomies and protocols that clinical psychologists and psychiatrists use. My Parents/Spouse/Coach Is "Making Me"Go To The Sports Psychologist And I Resent That. It is common that someone strongly encourages you to go a sports psychologist, but you should have the final say in the matter. Starting coaching under duress doesn't make much sense, or go very well. I Am Concerned That The Advice I Get From The Sports Psychologist Will Conflict With What My Sports Coaches Tells Me. This is a very common concern, and it is easily overcome by working with your coaches and anyone else who helps you, or by asking you what they are teaching you. The sports psychologist will balance and manage his or her advice and interventions around the approaches your other coaches are using with you. There should be no conflicts. So there you have it, 72 common concerns athletes have that make them reluctant to see a sports psychologist. Perhaps you found some of your concerns in this list, and you are now more open to seeing a sports psychologist. Sports psychology coaching is a process, a learning experience. It's an opportunity to grow as an athlete and as a person. It's an enlightening growth process, and a very interesting one. You will learn more about yourself as an athlete, and as a person. It's a special time that is all yours, for you to use any way that you see fit. It's your own personal mental training class and consulting session. It's a chance to receive personalized teaching from an expert in the mental game. It's a custom coaching class that focuses on your mind. Discover learning experiences and exercises to help you become self aware. In essence, sports psychology coaching is a valuable, specialized educational experience, one that will benefit you far beyond your sport experiences. It's a lifetime investment in yourself as a person. The insights you learn and the skills you build will carry over to many important varied applications for school, business and life itself. Sports psychologists exist for one reason only -- to help you maximize your sport experiences. They want you to succeed. They want to help you grow as an athlete and as a person. I hope this article has helped put aside some of your fears and concerns about sports psychology and deepened your understanding of this fascinating field. I encourage you to avail yourself of the wisdom and expertise of sports psychologists so you can reach more of your sporting and human potential.